What a super day for all involved with our choir. 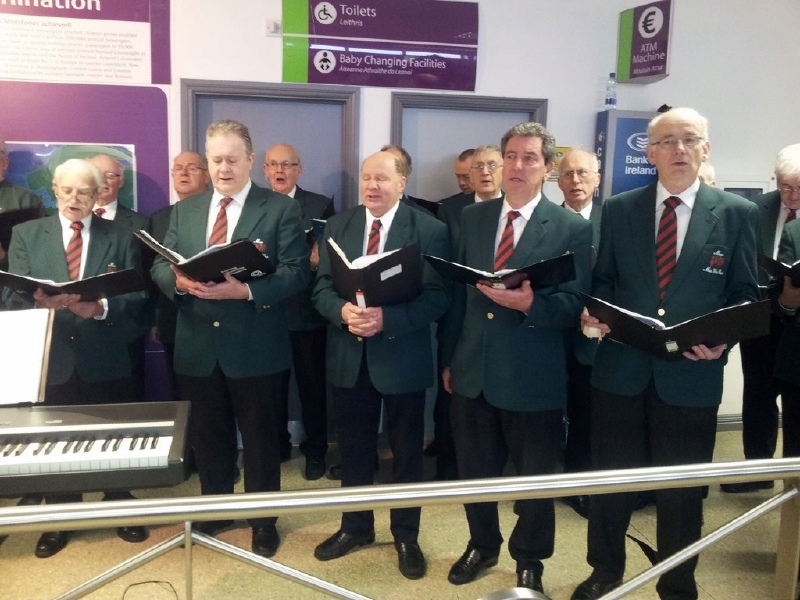 On Monday, 23rd December 2013 our choir performed for over an hour in the Arrivals area of Ireland West International Airport in Knock. In that time several flights landed safely at the airport and passengers headed quickly to meet their loved ones. There was much emotion, love and happy tears as families were re-united, some after long periods apart. The excitement and joy of those happy to be home for Christmas was palpable. Mid West Radio were on hand to meet, greet and interview all as they emerged through the green customs channel. Gerry Glennon approached many with his microphone at the ready to record the first reactions of those delighted alighters!!! The scene was certainly a noisy, busy, happy, jolly one with excited chatter and hugs aplenty. Also recording the many hugs were the crew making a promotional dvd for Knock Airport who attempted to capture each tearful reunion with their video cameras. From their footage, by that very evening, they had put together a super short video and published on YouTube. 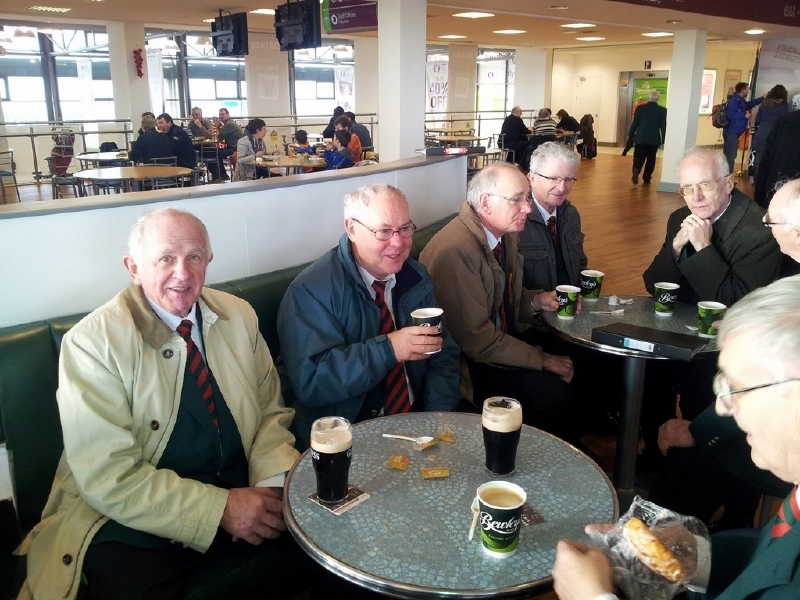 Entitled "Christmas homecomings at Ireland West Airport Knock" it is a video that deserves to be viewed as it really captures the mood of the day. With the video cameras, radio microphones and a stills photographer also snapping away it really felt like a scene from "Love Actually". Proudly providing background music to all this hubbub was Mayo Male Voice Choir with Deirdre Lee, our director, providing the accompaniment on keyboards. It was a privilege to be part of it all and we thank Ireland West Airport Knock for the invitation and their hospitality afterwards. 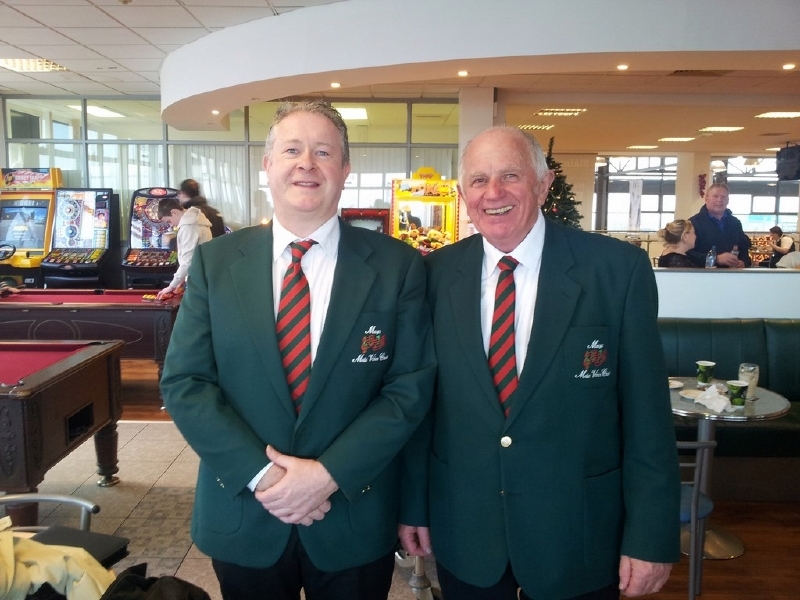 Eamonn Horkan and his son in law Declan Durkan (both involved in Mayo International Choral Festival) enjoyed performing at Knock Airport for our returning emigrants. 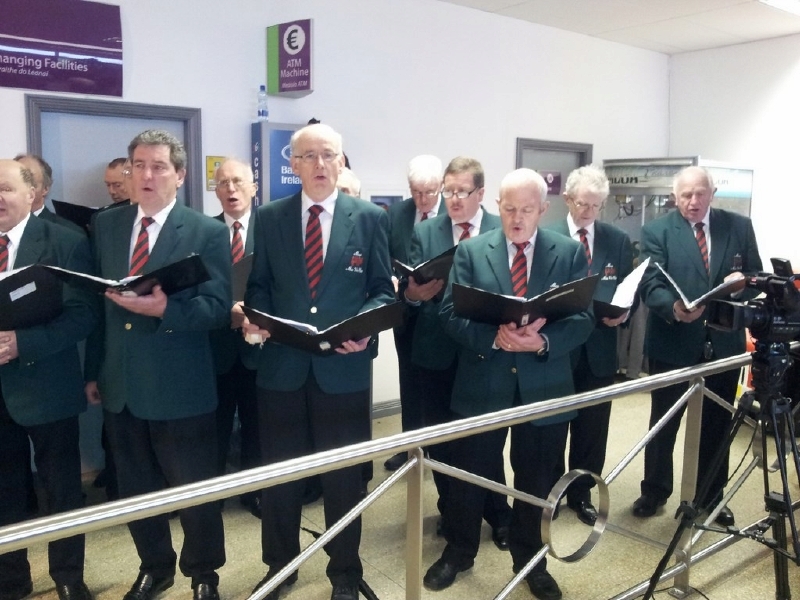 Choir enjoy hospitality of Ireland West Airport after performance.